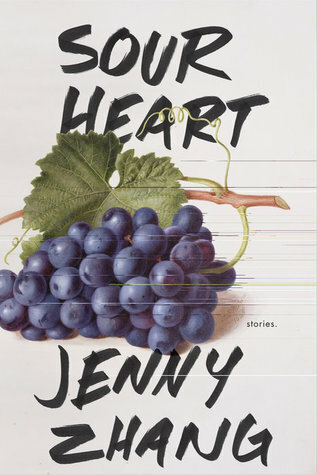 Sour Heart gripped me right from the beginning; the collection opens with We Love You Crispina, the story of a young girl and her parents and a series of cramped, unsafe and inhospitable homes in New York. In a move I will go ahead and describe as audacious, Zhang employs just a couple of full stops in the opening few pages, creating a sense of a narrator who simply cannot take a breath, such is her eagerness to share her story. It’s a feeling that carries on throughout Sour Heart, with Zhang’s young protagonists irrepressible in their need to speak. Many of Zhang’s protagonists are children or adolescents, which occasionally lends proceedings an unpleasant degree of self-involvement and a lack of awareness; I was not keen on The Empty the Empty the Empty, in which the child narrator’s voice was possibly the most annoying thing I have ever read. I am confident this was the point, and so Zhang should be commended on the veracity of her writing, but it wasn’t a whole heap of fun to read. It was the depiction of family relationships in all their inherent complexity which truly sucked me into Sour Heart, most notably in The Evolution of My Brother and Why Were They Throwing Bricks?, both of which convincingly and emotively display the codependency of familial bonds that can sometimes produce the opposite of the intended, happy effect. The former comes from the perspective of one of the collection’s more mature narrators as she describes her evolving relationship with her much younger brother, who worships his sister in his infancy but drifts away as an adolescent. Why Were They Throwing Bricks? is quite heartbreaking in its depiction of a grandmother whose devotion to her grandchildren is suffocating to an almost frightening intensity; it’s a story whose success comes from its ability to create empathy for characters on both sides of the main conflict, as well as conveying a sense of cultural difference and the struggles of those forced to straddle a geographical and cultural divide. Each story in its own way deals with this sense of separation from one’s culture or origins, with some protagonists rejecting their roots while others return to them only to struggle to fit in and communicate. Even within a community of immigrants, as depicted here, there’s a sense of dislocation, created through the subtle links Zhang draws between the different narratives; for example, in later stories, Crispina of the opening one is mentioned, and it becomes apparent that the different families featured have, at some time, shared a living space. Throughout, there’s a sense of knowing but not really knowing other people, creating isolation and, in some cases, resentment. That said, it’s not a collection that’s particularly bleak, thanks to Zhang’s vibrant, believable writing.